Deborah Buel Maben[i] was the second child of either eight or nine children born to Robert and Electa (Rowley) Maben. She was born on 20 January 1805 in Lexington, Greene County, New York. Later that year, Thomas Jefferson was sworn in for a second term as President of the United States and Lewis and Clark started out on their historic expedition to the west. Nine days before Deborah was born Michigan Territory was created. Deborah grew up in Greene County, New York. She was born in Lexington, her father was enumerated in Windham in 1810 and Lexington in 1820. Lexington and Windham are about 10 miles apart, so there may not have been a move involved during her childhood. 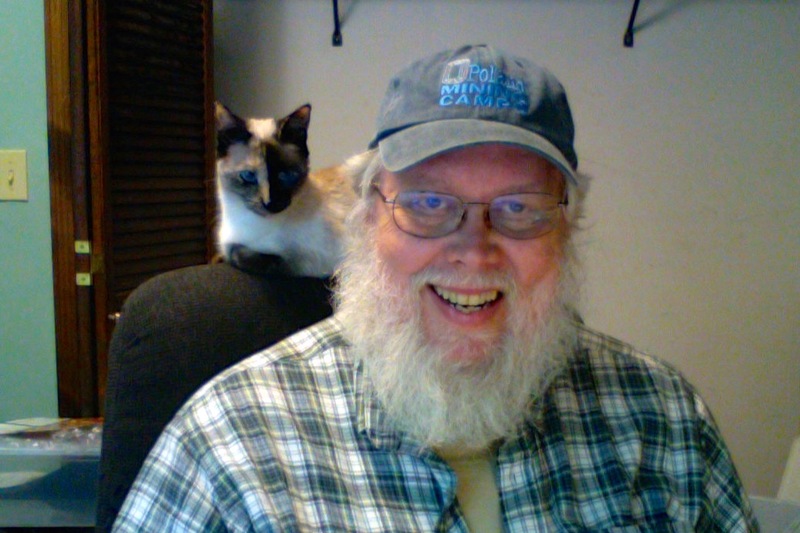 Rather, the difference may have been the census taker’s assessment of the town they lived closest to. In 1837, Michigan becomes a state. 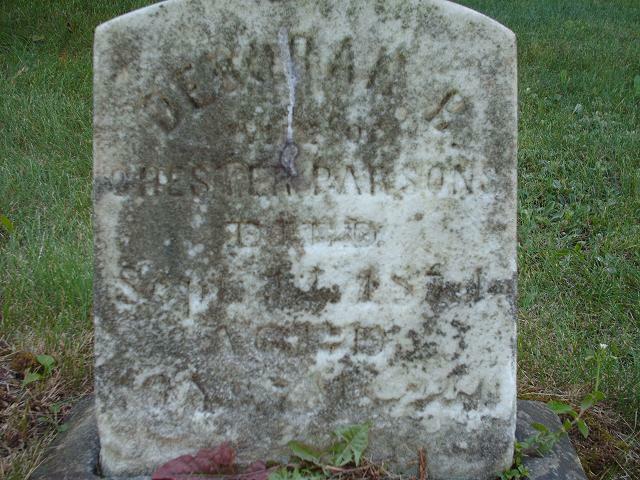 Deborah died on 12 September 1874 in Benton, Washtenaw County, Michigan. She is buried in the Benton Cemetery, Benton, Washtenaw County, Michigan. 1810 Census – Windham, Greene, New York – Robert Maben – Family Search. 1820 Census – Lexington, Greene, New York – Robert Mabin [Maben] – Family Search. 1830 Census – Saline, Washtenaw, Michigan Territory – Chester Parsons – Family Search. 1840 Census – Saline, Washtenaw, Michigan -Chester Parsons – Family Search. 1850 Census – Saline, Washtenaw, Michigan – Chester Parsons – Family Search. 1860 Census – Saline, Washtenaw, Michigan – Chester Parsons – Family Search. 1870 Census – Saline, Washtenaw, Michigan – Chester Parson – Family Search. Chas. C. Chapman & Co. (2012). History of Washtenaw County, Michigan: Together with sketches of its cities, villages and townships, educational, religious, civil, military, and political history ; portraits of prominent persons, and biographies of representative citizens : history of Michigan : embracing accounts of the pre-historic races, aborigines, French, English and American conquests, and a general review of its civil, political and military history. Salem, MA: Higginson Book Company. Pg 1405. See: https://archive.org/details/cu31924028870520. [i] The name is spelled “Mabin” in some records. I prefer Maben as that is the surname spelling used in most documents including the DAR Descendants Database. [ii] The 1810 and 1820 Census records indicate at a male born between 1803 and 1810 was in the household of Robert Maben. Because of the gap in births between Sarah and John, I believe this male was born in 1809 and is the child of Robert and Electa Maben. I have not found evidence of this child in other records so far. [iii] Chester and Deborah are mentioned several times in The History of Washtenaw County, Michigan: Together with sketches of its cities, villages and townships, educational, religious, civil, military, and political history ; portraits of prominent persons, and biographies of representative citizens : history of Michigan : embracing accounts of the pre-historic races, aborigines, French, English and American conquests, and a general review of its civil, political and military history by Chas C. Chapman and Co. Higginson Book Company along with several other family members.